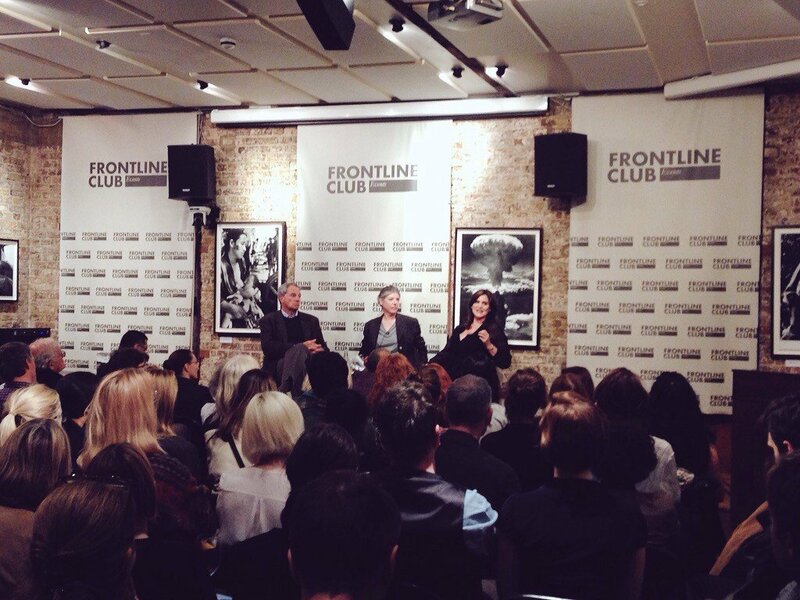 On Tuesday 5 May, Middle East editor of Newsweek Janine di Giovanni and veteran broadcaster and journalist Charles Glass joined an audience at the Frontline Club for an insightful discussion chaired by Sigrid Rausing, editor of Granta magazine. Reflecting on the ongoing conflicts in the Middle East and the human realities of war, di Giovanni and Glass discussed their recent contributions to the latest edition of Granta: The Map is Not the Territory, which explores the distinctions between representation and reality. “The theme that comes to me over and over when I think of Iraq is loss,” said di Giovanni. Her article, After Zero Hour, looks back on her time reporting on the Iraq conflict, remembering old friends who have since disappeared, emigrated or fled. Di Giovanni described driving the length and width of Iraq prior to the 2003 invasion, aware that, as the impending war approached, many of the places she visited would soon cease to exist. An audience member asked Glass and di Giovanni to comment on the importance of lyrical writing in journalistic articles. The discussion then covered the role played by journalists in stimulating positive political change, by providing on-the-ground evidence that can filter into policymaking. A final audience question discussed the role of long-form journalism and an increased focus on human stories to encourage empathy and eliminate compassion fatigue. “For the most part newspapers don’t have space… there are very few outlets. Thank god these things exist, but it’s hard to make a living doing that,” said Glass, highlighting Granta, The New York Review of Books and The Guardian as some of the few publications that champion longer pieces. Subscribe to Granta magazine here.